Americans visiting Mexico often don’t venture beyond their palapas at popular resorts like Puerto Vallarta, Cancun, or Los Cabos. But for more adventuresome and curious travelers, Mexico offers an array of colorfulfestivals. 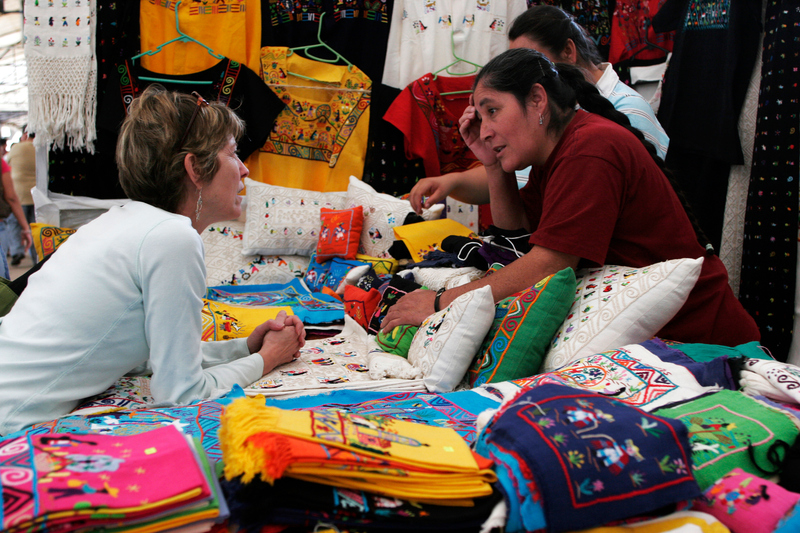 Many combine Catholic ritual with indigenous practices, giving visitors an intimate view of a uniquely Mexican way of life. Our first blog of 2011 is a sampling of Mexico’s finest festivals and cultural events, including the best places to enjoy them. Semana Santa in San Miguel de Allende begins two weeks prior to Easter Sunday, when pilgrims transport a figure of Jesus, known as El Senor de la Columna, through the night from Atotonilco. Predawn fireworks announce their arrival in San Miguel. The following Friday (before Palm Sunday) is Viernes de los Dolores, or Night of the Sorrows. On this special evening people travel door-to-door admiring beautifully decorated home altars. These statues of weeping Virgins, surrounded by sweet grass, oranges and sand paintings, are tributes to Mary’s suffering. At many houses, guests are treated to a dulce, or sweet. Palm Sunday is celebrated with a procession from the Parque Juarez at 10 a.m. down Sollano Street to the Parroquia church. Houses along the narrow cobbled street are decorated with brightly colored paper banners. The week culminates in a Good Friday re-enactment of Christ’s persecution in San Miguel’s central plaza, (referred to as the jardin). Men dressed as Romans on horseback and a cross bearing “Christ” are the centerpiece of an elaborate procession. But it’s the multitudes of little girls dressed as angels that capture many spectators’ attention. 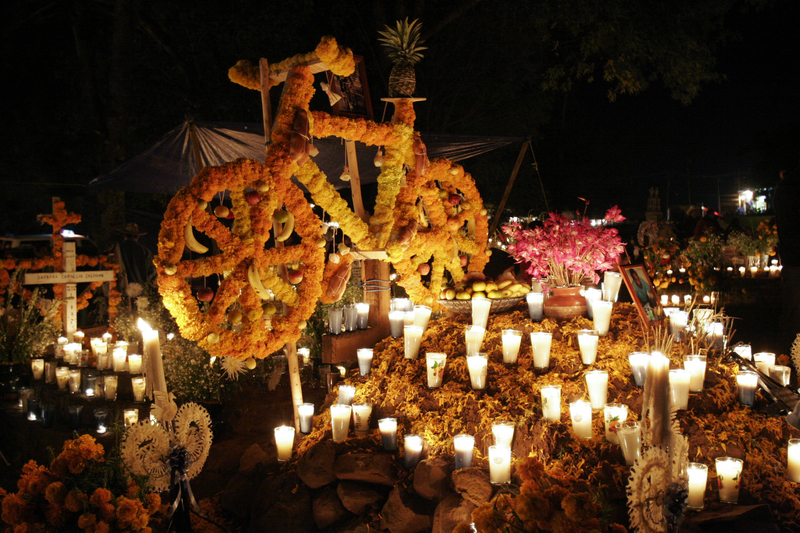 While Noche de Muertos or the Day of the Dead is celebrated all over Mexico, the villages surrounding the city of Pátzcuaro are the epicenter of Day of the Dead activities. A few days before the official observance on Nov. 1 and 2, artisan markets sprout up throughout the city. 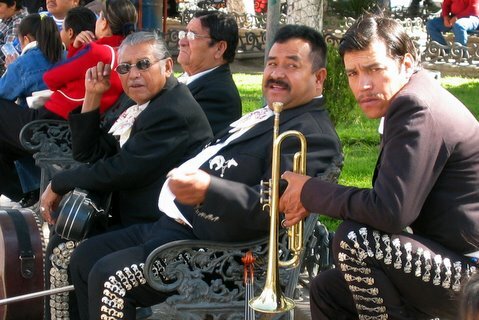 www.mexconnect.com Whether planning a visit or retiring in Mexico, everything you need to know can be found here. www.mexonline.com Book both hotels and flights, or learn more about cultural events in Mexico through this informative, easy-to-navigate site. Welcome to Adventures in MexiCulture!